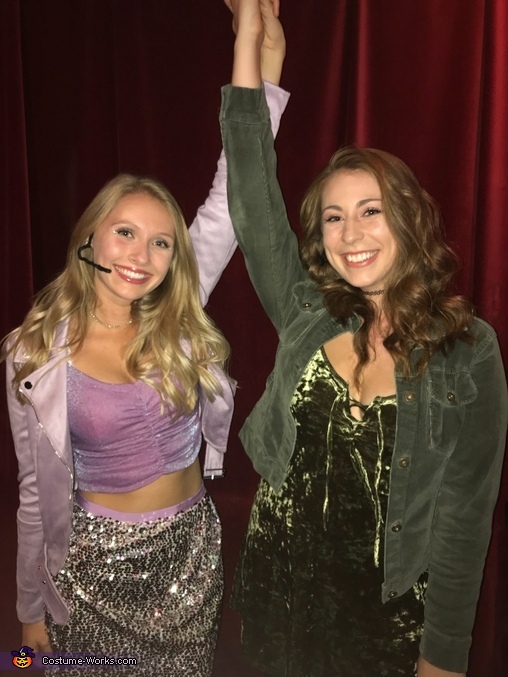 In these photos I am dressed as Lizzie McGuire and my friend is dressed as Isabella Parigi. Together we are the pop star duo from The Lizzie McGuire Movie. We put together our costumes using clothing items we already had mixed with items we found at secondhand stores. We wore these costumes to a halloween themed Disney sing along night. Our microphones are made of black pipe cleaners. The third picture isn't the best quality but I wanted to include a full body shot.